Just a quick post for today, encouraging you to check out my friend Susan Hong’s brand new website, SusanHong.com. I’ve had the honor of helping Susan out with her website and other technology-related topics for a few years now. She is not only a wonderful artist and piano teacher, but an all-around wonderful person and friend! Here’s a picture of Susan and I, taken during the 2016 MTNA conference in her hometown, San Antonio, Texas! Susan has posted a few items of interest on her new website so far, but I would especially encourage you to check out her Musical Mandala Coloring Book PDF. When you purchase the download, you’re getting a studio license allowing you to print as needed for your own students. I’ve already downloaded and printed a few copies to place in my studio for my students to enjoy coloring in my waiting room area. There’s a limited time sale going on now. Don’t miss checking out Susan’s mandalas by clicking HERE! My piano student, Bella, loved coloring this beautiful mandala coloring sheet created by my piano teacher friend Susan Hong. This kept her busy during her brothers’ lessons. :) Thanks for the printable, Susan! You can download Susan’s beautiful printable for FREE here at TeachersPayTeachers.com. I’m sure many of you are familiar with and love using highlighter tape to add visual reminders to students’ sheet music. The “tape” is transparent yet colorful, and removes easily if you want to keep the student’s music clean. I’ve seen highlighter tape available at music stores, conferences, or online. Highlighter tape is a bit expensive (but worth it! ), in my opinion. However, I recently discovered that these highlighter “tabs“ (pictured below) are just as good if not better! They are essentially pre-cut as opposed to the tape rolls. Only half of the strip is sticky, but that actually makes removal easier. Win-win. You can buy packages of highlighter tabs here on Amazon; however, you will find it to be much more affordable in the office supply aisle at your local store. 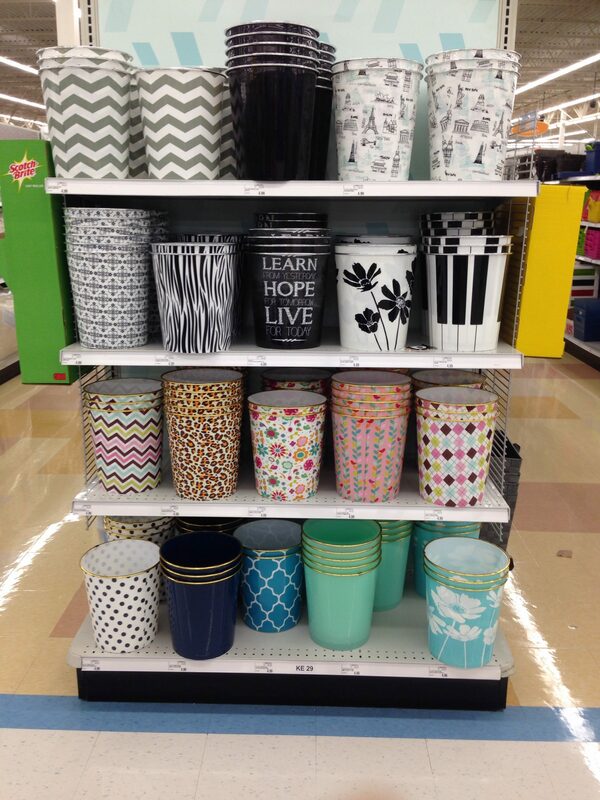 You might even find them at your local dollar store. A couple of weeks ago, I came across a wonderful little online shop called The Practice Shoppe. Leslie, the owner, is a Suzuki violin teacher/mom. She sells a variety of fun things in her shop to help make lessons and practice fun for students. I ordered a few of her wonderful music dice, which are just begging to be used for some music games! I’ll be sharing about a new game tomorrow. I’ve recently written an article which will be published in the latest newsletter of the 3-D Piano Method, which should be sent out later today or tomorrow! If you would like to read my article, you can sign up to receive the 3-D Piano Method’s newsletters (which are published no more than once-a-month) in your email inbox. Visit 3-dpiano.com and enter your email address in the upper right-hand corner. While you are on their website, take a moment to read more about 3-D Piano and browse the video previews. I first heard about 3-D Piano DVD’s at an MTNA Convention, where I heard that it had won the MTNA Francis Clark Keyboard Pedagogy Award. It looks like a great resource, particularly if you teach many advanced students — it’s something I’d definitely like to invest in someday. UPDATE: Here is a direct link to where you can find the Soundpoint #12 newsletter, which contains my article about rhythm! After finding the new Fun & Learn Music website last night, I simply had to share the link with you all. This website has a large variety of FREE music worksheets, organized by subject. The worksheets are clear and to-the-point, but also cute and fun for students. I will definitely be using many of these worksheets with my students in the future! Fun & Learn Music also has a Shop area, where they sell complete theory books and a couple of rhythm games that look really fun and well-designed. I can’t wait to see how this site develops in the future! Check out their website here, and their facebook page here. Thanks to Pinterest, I recently came across a blogger who designed some charming little finger puppets to go along with a few fingerplay songs she enjoys singing with her son! Her name is Kate, from the picklebums.com blog, and she generously offers each of the printables pictured below for free. I assembled a set of her beautiful finger puppets for my 4-year-old nephew as a birthday gift last month, and made myself a set, too, to use with my Piano Readiness class. 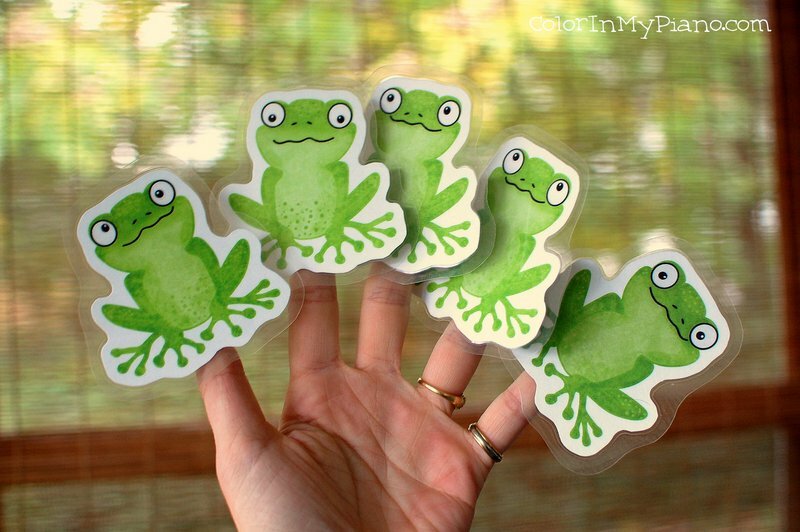 One of my all-time favorite fingerplays ever is Five Little Speckled Frogs (click for link to Kate’s puppet printable). I discovered this fingerplay during an Early Childhood Music course I took during graduate school. EMI Classics send me an email informing me about a special promotion going on right now. They are currently offering an album of 50 classical piano pieces for just $0.99 (USD) on Amazon.com. The artists include Martha Argerich, Andre Watts, Alexis Weissenberg, and many others! I just downloaded the album and am looking forward to using it to introduce my students to the classics. I like using various classical pieces with my preschool aged students and with my homeschool music class, for various movement and listening activities. Check out this deal now by clicking here.